Developmental Milestones | Life Is Fine! Fine As Wine! Like any self-respecting helicopter parent, I have observed a thing or two about my son in all my hovering. He has yet to utter a word, and mean it. 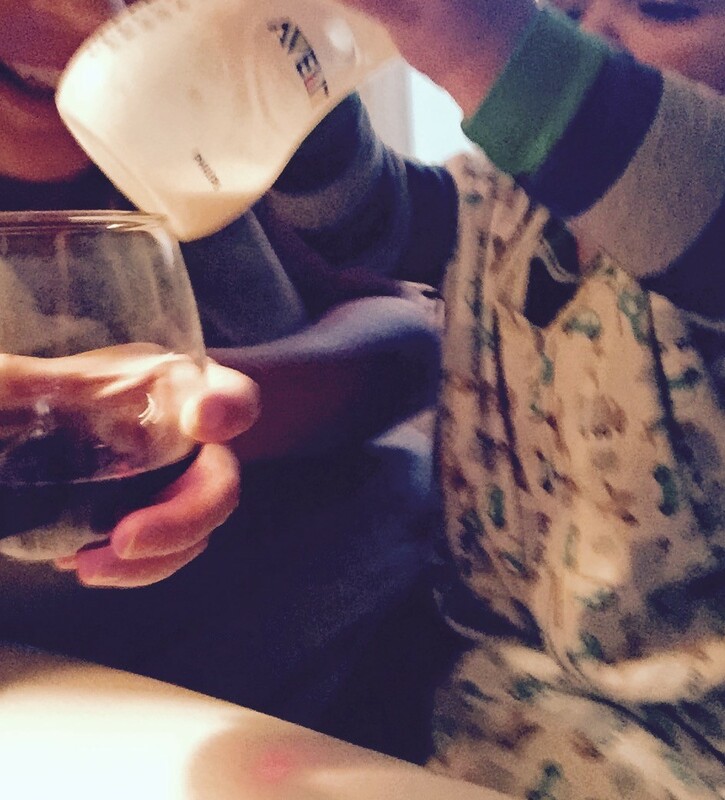 He hasn’t fully transitioned to a sippy cup. There is little to no demonstrated interest in walking. And he has not mastered a single eating utensil… not even the spoon! But I will tell you what my son can do. He squeals with joy every time the dog pads by, praying to go unnoticed. He is a remote control enthusiast. He steals Daddy’s glasses any chance he gets. He cries profusely when his trolley hits a dead end at the far side of the hall. The tiny thing blows kisses. He exuberantly throws a ball. He hands you his last blueberry. He waves a fervent goodbye. In the morning, he is content to babble softly and “read” his books until his family arrives to wake him. So forgive me if I drink to all of that.